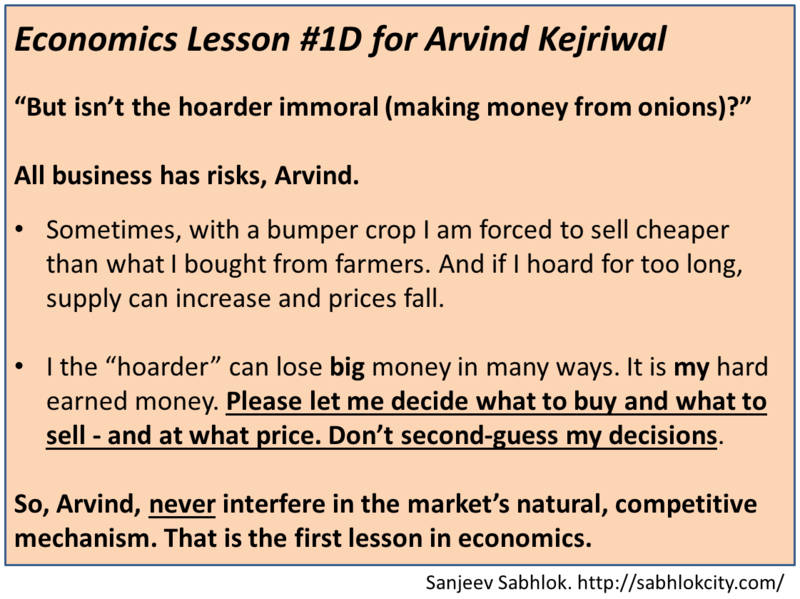 A few days ago I clarified to India in a public forum (Business Standard) that Arvind Kejriwal is an economics illiterate. 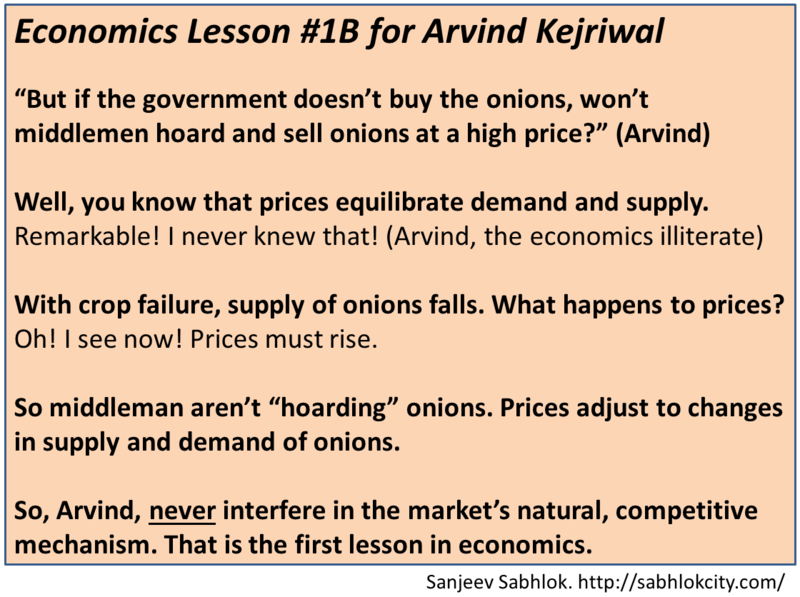 But Arvind is also thick-headed. He has studiously refused to engage with me to date, despite many attempts not just from me but from many of his well-wishers. 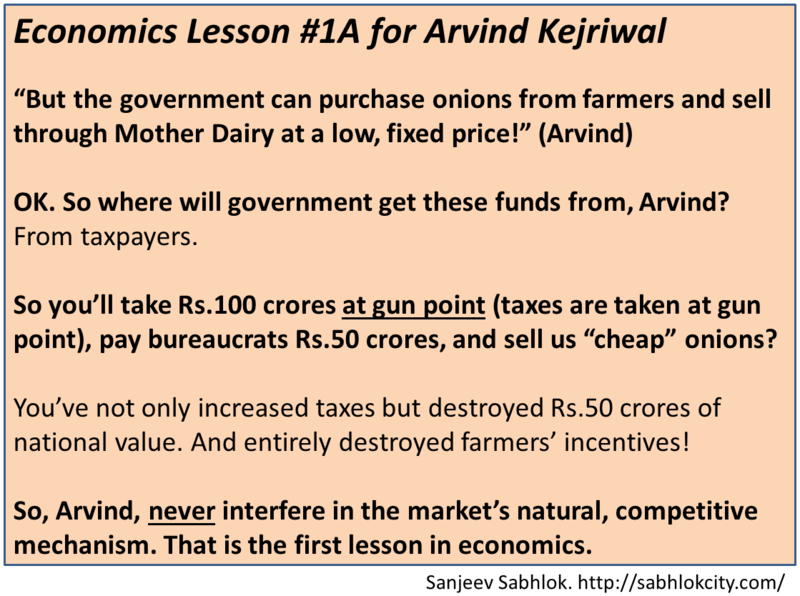 Someone the other day suggested that I debate with Arvind publicly. But first let me teach him a few things. If he refuses to learn, then I'll offer to debate him. For I will vigorously fight any attempts to take India even deeper into the death trap called socialism. 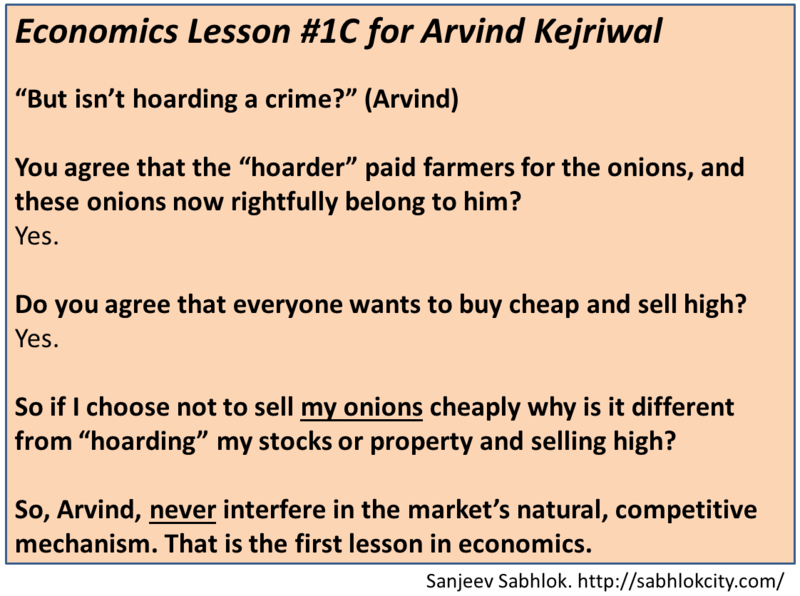 I've always said I'm happy to teach Arvind, who is otherwise a good and honest man (I REFUSE to teach Rahul Gandhi or any member of CORRUPT Congress/BJP such as Modi). 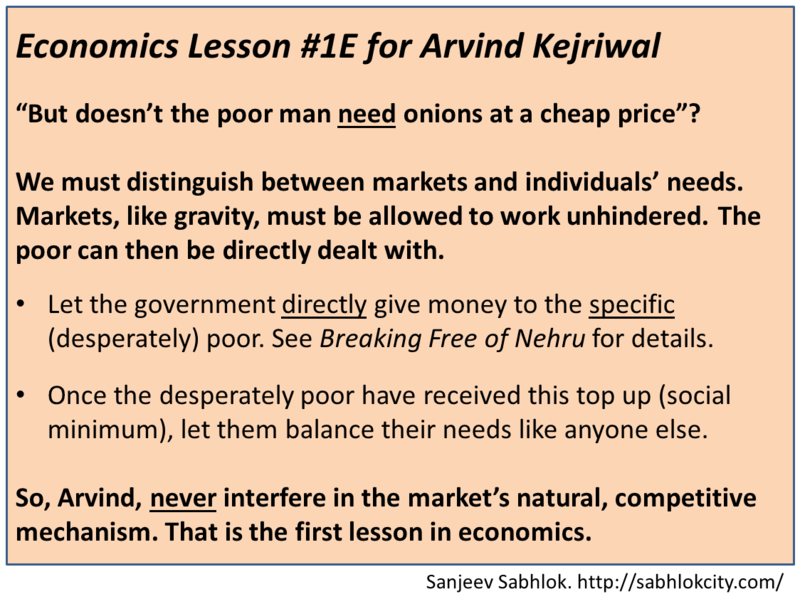 Let me publish some lessons for Arvind (other socialists like BJP/Congress could benefit but they'll NEVER get my personal services as a teacher). This entry was posted in India, Liberty and tagged in Arvind Kejriwal. Mr Sabhlok ji , u are not always correct, why r u criticizing mr Kejriwal , atleast he is doing something for india. 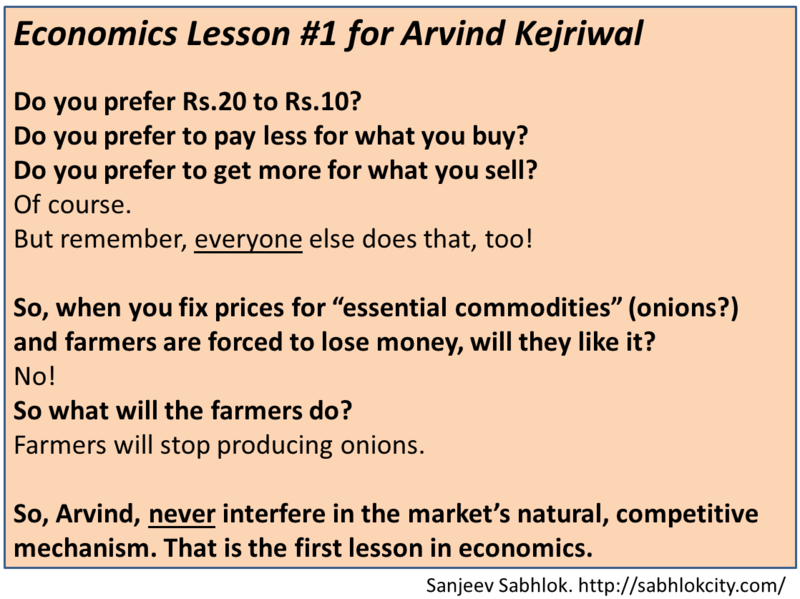 May be in ur words he is illiterate in economics, but he is better than our corrupt politicians. Sorry, he is promoting socialism, and that is the ROOT cause of corruption. It is irrelevant that is that is “doing something”. He must do the right thing else he is merely further destroying India. This is a great article indeed…people must understand the dangers of socialism. 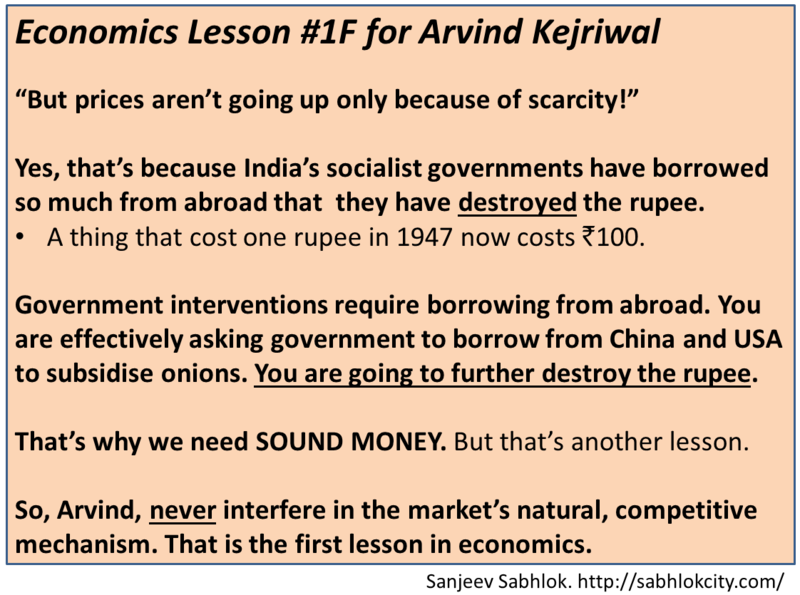 Regarding Economics lesson #1F, I would like to add to your reason for the rupee getting devalued- by government printing money. The government is like an official counterfeiter! It along with Reserve bank prints money from time to time in the name of monetary policy. There is an excellent book (free ecopy available on the internet) by Murray Rothbard called “Mystery of Banking” which unveils this fraud in full detail.